Safe-Dock – The Safe-Dock™ universal car seat docking station for shopping carts keeps your baby safe and secure. The Safe-Dock makes shopping simple, just place your carrier in the dock, buckle the restraint and enjoy your shopping. With Safe-Dock, shoppers no longer need to put their babies at risk just to go shopping. 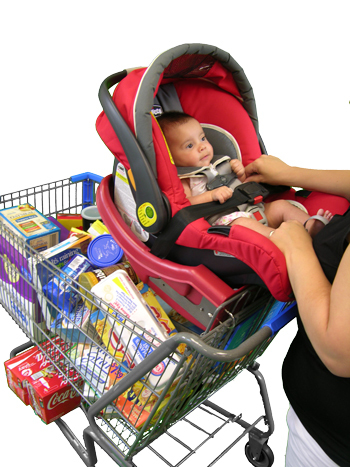 Placing your baby on top of the cart is never safe and putting the baby in the cart leaves no room for groceries. The Safe-Dock has passed stability testing on shopping carts found at the leading retailers to ensure its safety. opping cart. 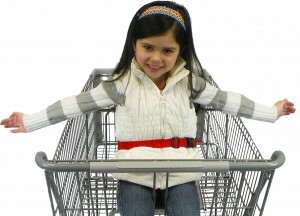 It is estimated that more than 20,000 children under the age of 5 are injured by shopping carts each year. That’s why it is important that you always buckle your child up in the shopping cart.